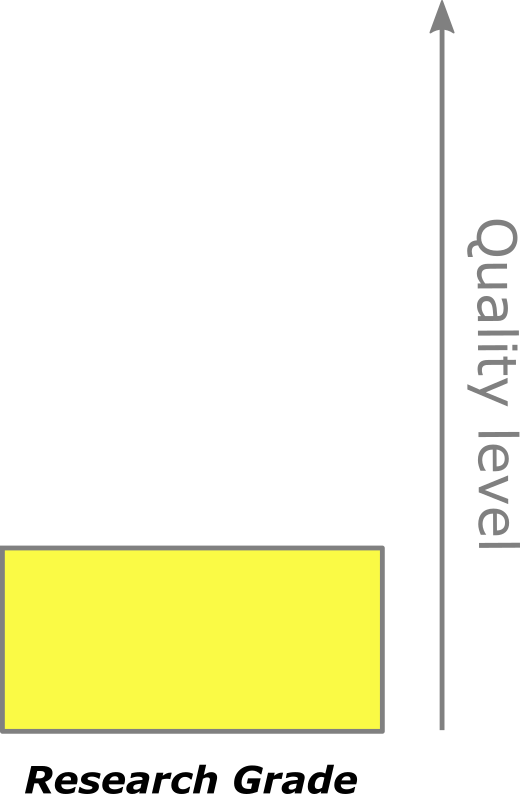 Different quality levels for research and (pre-) clinical studies allow optimal adaptation to your application. Our High Quality Grade plasmids are particularly suitable for GMP-compliant production of e.g. viral vectors and RNA. Plasmid DNA in reproducible and certified quality for preclinical and veterinary research. 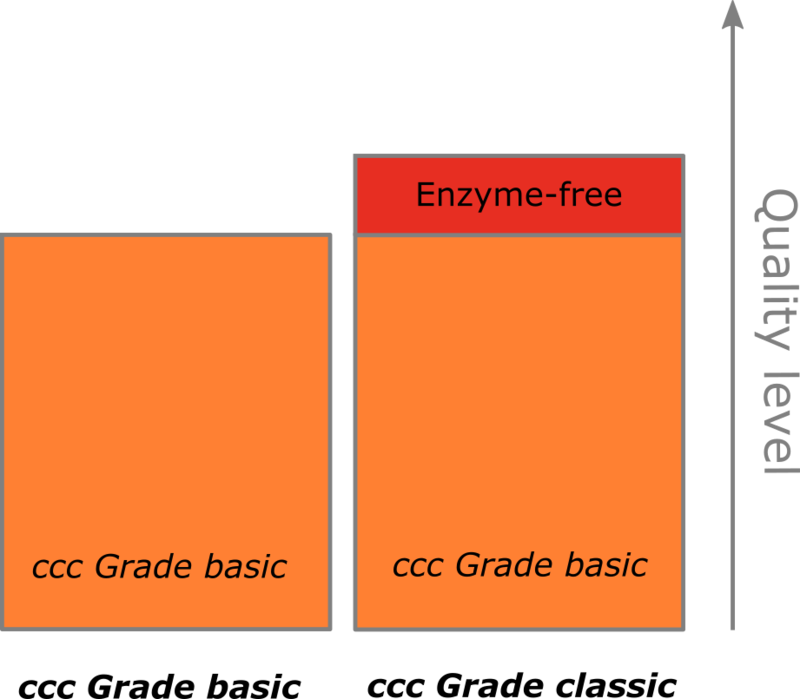 Additional option: Completely animal- and enzyme-free process (ccc Grade classic). Please note in advance: The minimum order quantity for each plasmid of this quality level is 10 mg.
High Quality Grade plasmid DNA can be produced according to the EMA guideline CHMP/BWP/2458/03 for the highest quality standards. For reasons of product safety the production process is done completely without animal derived substances, “animal-free”. High Quality Grade plasmid DNA guarantees the highest product purity through reliable separation of impurities, such as bacterial chromosomal DNA or damaged plasmids. To prevent further contamination, exclusively one plasmid is produced in our High Quality Grade plasmids manufacturing system, there are no parallel plasmid productions in one room at the same time. The High Quality Grade plasmid DNA is produced on the basis of a Research Cell Bank (RCB), created at PlasmidFactory, and the most effective, patented ccc Grade DNA technology. For both the cell bank and for the plasmid DNA, PlasmidFactory offers a variety of quality controls, so that there is finally a single individual product tailored to the application and the appropriate regulatory standards. Our High Quality Grade plasmid DNA can be used e.g. in the GMP production of recombinant viruses, antibodies and RNA used for clinical studies. PlasmidFactory has already produced more than 2,000 individual, different plasmids on customer demand. We guarantee the delivery of the amount ordered. You would like to learn how to use PlasmidFactory’s service for the manufacture of your individual plasmids? Have a look at our exemplary ordering process! PlasmidFactory uses only specific E. coli strains, characterized and optimized for production of plasmid DNA. The patented procedure for the processing of plasmid-containing cells is based on the alkaline lysis procedure. A well-known problem with the subsequent purification by means of ordinary ion exchange chromatography (plasmid kits) consists of contamination with bacterial chromosomal fragments (often called “genomic DNA” which is inappropriate since plasmids do also form a part of the genome), which bind specifically or unspecifically to the column matrix, just as plasmid DNA does. In the further course of the plasmid extraction procedure, this bacterial chromosomal DNA is often not separated from the plasmid. This will result in a high degree of contamination with bacterial chromosomal DNA, which may on the one hand significantly skew plasmid concentration measurements and on the other induce immune responses of the target expression system, and thus, jeopardize the success of your experiments. PlasmidFactory’s ccc Grade DNA qualities are virtually free of bacterial chromosomal DNA (see Figure B). In our other qualities (Research Grade), the proportion of these unwanted contaminations is significantly reduced compared to kit-based systems. In addition, quantitative analysis of the bacterial chromosomal DNA (qPCR) is available to customers. Lipopolysaccharides (LPS), often referred to as endotoxins, are produced by gram-negative bacteria such as E. coli and detected by the immune system of eukaryotic organisms. This can trigger an immune response and result in reduction of gene expression. In popular kit preparations, LPS content may vary very widely and have undesirable effects on the results of the experiment. During each plasmid production, PlasmidFactory measures the LPS content and can guarantee, upon request, a content of less than 0.1 EU / µg of DNA. Thus, the levels undermatch those of all other production processes. PlasmidFactory has developed a special production process for plasmid DNA (ccc Grade classic) which generally discards the use of substances of animal origin. Avoiding use of animal-based substances is of importance for clinical applications, since these substances may pose a safety risk. In addition, the use of enzymes is avoided completely during production and purification, since the RNA is removed chromatographically. 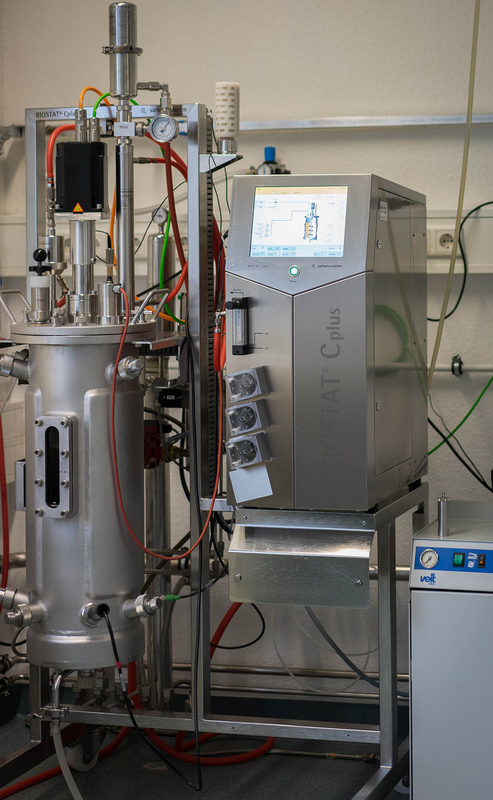 At PlasmidFactory, plasmid amplification in E. coli cells is always carried out in the fermenter (see Figure C) and under controlled conditions, because it is not possible to guarantee the reproducibility of the produced biomass when shake flasks are used. The quality of the product is constantly monitored and documented. 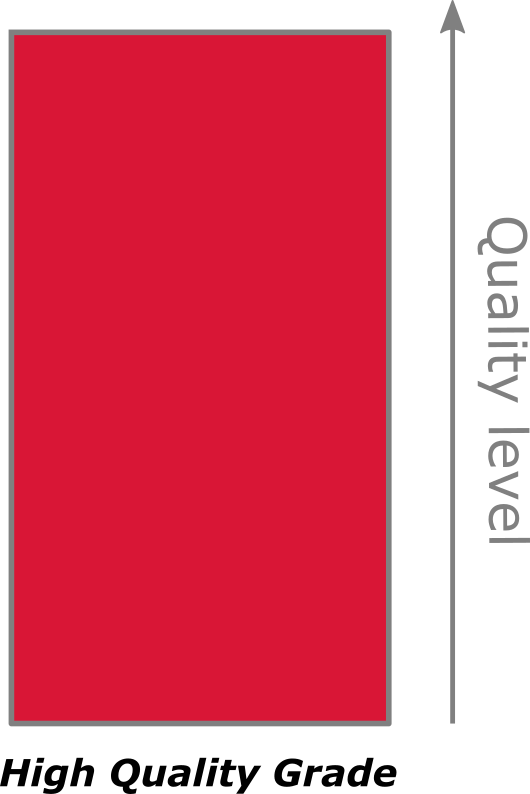 A complete list of the quality controls and analytic methods can be found in the Quality Control section.